We've been dishing out game news for a while here and as such I thought I'd give a shout out to a new app that a member of MH so gratefully decided to give me a nice copy of it to test before it went live. For those of you who are interested in it - the game goes out live today. You can download it at the app store http://itunes.apple.com/app/yeti-jump/id534955582 it's well worth the free download during its initial release ^^ (and even worth the buck there after ;) ). Here's more info for those of you who are still reading :D.
June 26th, 2012 - Pittsburgh, Pennsylvania - Pulled Strings™ Software is proud to announce the launch of Yeti Jump™, their first, revolutionary platform jumping game for iPhone®, iPad®, and iPod touch®. To celebrate the launch of their first game for iOS, Yeti Jump™ will be available free to download worldwide for the first 10 days during its initial launch: June 26, 2012 – July 06, 2012. Adding to the celebration of the successful completion of development and the successful launch of Yeti Jump™, members of the Pulled Strings™ marketing team will be attending Anime Expo in Los Angeles late next week while sporting the official game mascots on June 28th, 2012 through July 02nd, 2012. “We’re very excited to partake in this event, but we’re infinitely more excited to introduce Yeti Jump™ to the anime community,” says Donnie Cannon, Pulled Strings™ Chief of Guerilla Marketing. Pulled Strings™, founded in March of 2012, consists of a small elite team, which has been working around the clock to meet the deadlines and exceed the challenges set for Yeti Jump™. In less than a month, the Pulled Strings™ team has designed, developed, and brought to life Yeti Jump™, their exciting and fast-paced arcade-type platform jumping game for iOS devices. The Pulled Strings™ team is very gratified to say that Yeti Jump™ is finally bearing closer to its launch date next Tuesday. The environment, characters, and contemporary artistic-style of Yeti Jump™ demonstrate amazing and distinctive “anime-like” characteristics—brought to life by Lissy Marlin, a phenomenally talented artist and member the Pulled Strings™ family. This adrenaline pumping “abominable snowman” -based platform jumper defies what have become the “normal” expectations of all games alike. “Yeti Jump™ will go over-the-top to capture the addictive flavor that most mobile games today seem to be lacking. With the combination of a detailed environment, characters, graphics and epic quality music, this exciting hit will push its way to the top of the charts,” says Michelle Berry, CEO of Pulled Strings™. Now Available, Yeti Jump™ appeals to the broadest of audiences worldwide—the game features the infamous, robustly built “Yeti” fighting to jump his way up a never-ending mountain of Ice and snow. While dodging a formidable Sasquatch and jumping strategically to keep himself and his babies alive, Yeti Jump™ will leave a lasting impression on even the most dedicated anime-lovers for its tasteful artistic style, adorable, yet bold, characters, and go on to further capture the attention of a broad worldwide audience with people of all interests. Further distinguishing itself as a game made universal for everybody, the ability to toggle the game music and sound effects on or off in a separate manner complies with what individual players desire. This contributes to making the game suitable for adults and kids of all ages or musical interests. Given the choice of two modes for game-play, both “tilt” and “touch” options demonstrate how the Pulled Strings™ game developers have taken the time to suit individual players’ comfort preferences as well. The main goal of Pulled Strings™ is to keep the main focus on user satisfaction, and the Pulled Strings™ team has gone to great lengths to do just that. Yeti Jump™ will meet certain expectations from users that most mobile game developers today have given little or no effort to achieve. From the highly detailed “anime-like” characters- to designing a well thought out “how to play” screen for Yeti Jump™ -Pulled Strings™ has given their all to satisfy the players’ needs. The “how to play” screen will demonstrate a “concept” of the game with an elaborate summary of the Yeti Jump™ story; the “goal” of the game will give a brief description of what the players are to achieve; the “game tips” will reveal helpful ideas before playing the game; and “controls” will indicate to users in writing and in demonstration of how to control the character movements in “tilt” mode and in “touch” mode. 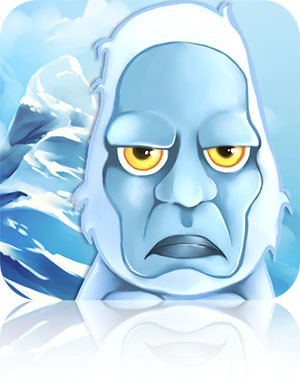 Yeti Jump 1.0 for iPhone, iPod touch, and iPad will be FREE for download on June 26th, 2012, until July 06, 2012, and available worldwide exclusively through the App Store® in the Games and Entertainment categories. After the free promotional period, Yeti Jump will resume its standard purchase price of only $0.99 USD (or equivalent value in other currencies) for all devices. Headquartered in Pittsburgh, Pennsylvania, Pulled Strings, LLC is a software development company comprised of a small, elite, and dedicated team striving to provide software that focuses on users’ satisfaction first, and the technology later. © 2012 Pulled Strings, LLC. All Rights Reserved. Pulled Strings™, the Pulled Strings™ logo, Yeti Jump™, the Yeti Jump™ logo and all provided graphics or content are trademarks or otherwise exclusive intellectual property of Pulled Strings, LLC. Apple®, the Apple® logo, iPhone®, iPod touch®, and iPad® are registered trademarks of Apple Inc. in the U.S. and/or other countries.